Sitting for a long time isn’t good at all and it can affect your body and health. One research project found that people who spend most of their day sitting are more prone to getting diabetes, cancer, cardiovascular diseases and obesity. Luckily, we have 5 exercises for you that will make you feel full of energy. They’re super easy to do, can be done sitting in a chair and can give you that flat belly you’ve dreamt of. Place your feet flat on the floor. Straighten your arms at the level of your shoulders.Twist your upper body to the right, bend and touch your right foot with your left hand. Stay in the position for a couple of seconds. Return to the starting position and then touch your left foot with your right hand. Do 25-30 repetitions. 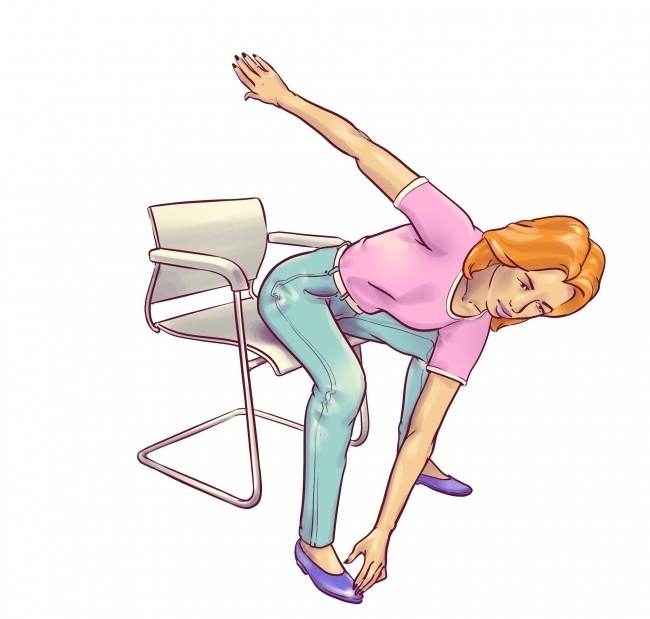 Sit on the chair and keep your back straight, without touching the chair. Your feet should be on the floor, hip-width apart. Lift your right knee and pull it towards your chest. Keep your belly sucked in and back straight. Do 30 repetitions by alternating your knees. Sit on the chair and keep your legs together. Hold the sides of the chair with both hands. Keep your back straight, lift your knees and pull them towards your chest. Keep your abdominal muscles tensed. Put the feet down without touching the floor. Do 20 repetitions. 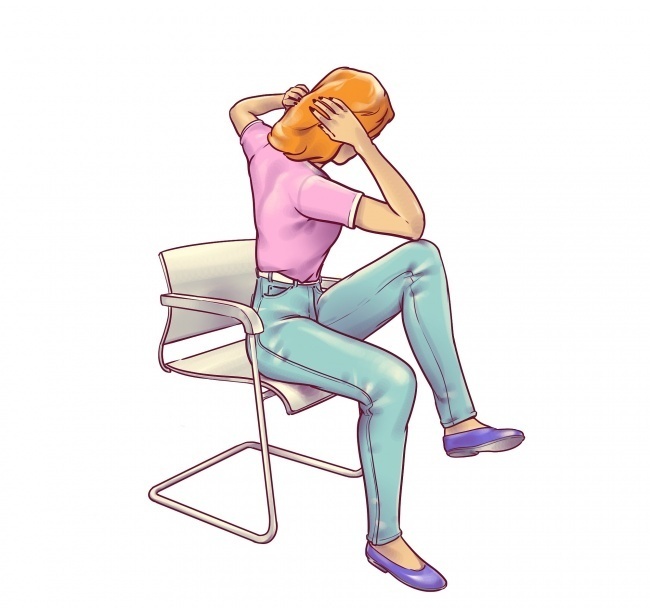 Sit on the chair and hold the arms of the chair tightly. Lift your body above the chair so that your legs and hips are up in the air. Raise your knees to your chest. Stay in the position for 20 seconds and then return to the starting position. Do 4 repetitions. Sit on the chair. Keep your back straight without touching the chair. Place your hands behind your head. Lift your right knee towards your chest. Bend the left elbow towards the knee. Return to the starting position. Do 15 repetitions. Change the knee and elbow and do 15 repetitions. Next story If You Notice Any Of These 10 Signs You Should Stop Eating Gluten Right Now…!!! Previous story Stretch Your Ring Finger With Your Thumb and Maintain For a Few Seconds. Reason You’ll Love!